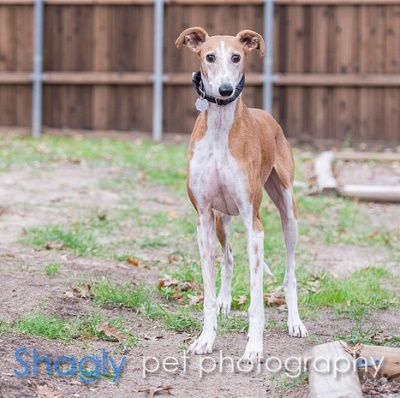 Posey is a red and white female greyhound who is part of a cruelty surrender of 8 from west Texas on September 21, 2016. Posey is estimated to be about 5 years old. Posey was taken to Animal Medical Center in Amarillo where she is under the medical care of Dr. Wick Culp and his caring staff. All of her medical tests are pending, and she is very thin. 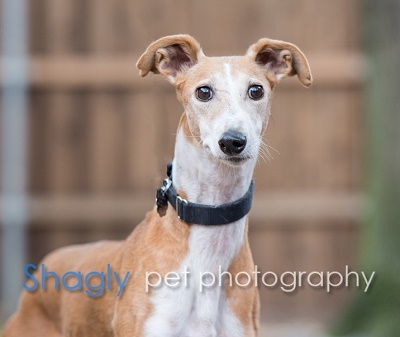 Posey passed a cat test and is living in a foster home with cats. Posey's medical tests show she has a positive titer to Ehrlichia Canis. Treatment has begun and will continue for approximately six weeks. 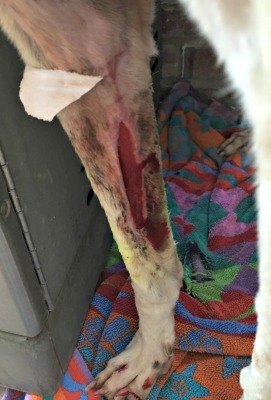 Posey also arrived with a nasty 6 inch open wound on the inside of her right front leg. It is being monitored daily with bandage changes. Posey's wound on her leg is almost healed. 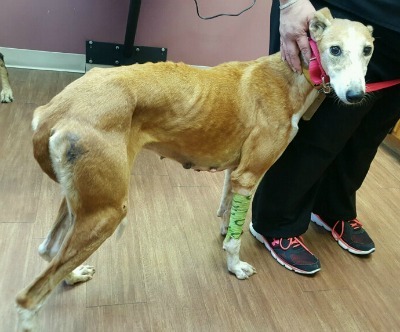 She is being treated for her positive titer to Ehrlichia Canis, and gained some much needed weight. Posey is very frightened in her loving foster home. It is hopeful she will make gradual progress. Posey has received treatment for her positive titer to Ehrlichia Canis and has a negative PCR test. 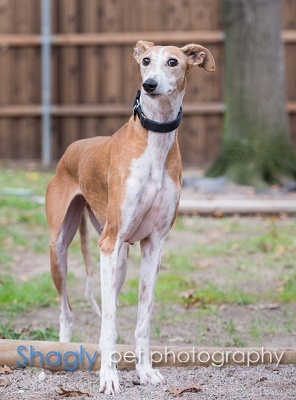 She has completed all her medical procedures and is ready to find her forever home.